Presentation abstract: While global cities have mostly been characterized as sites of intensive and extensive economic activity, the quest for global city status also increasingly rests on the creative production and consumption of culture and the arts. 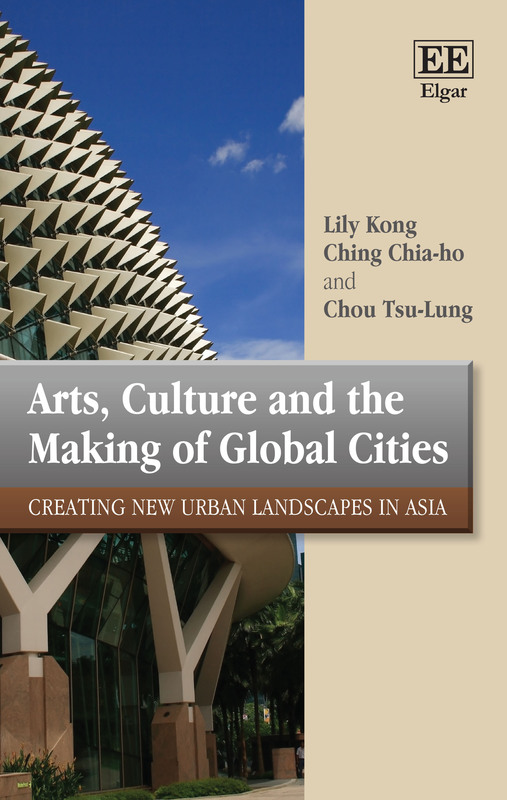 Arts, Culture and the Making of Global Cities examines the cultural ambitions and projects in five major cities in Asia: Beijing, Shanghai, Hong Kong, Taipei, and Singapore. The book provides a thorough comparison of their urban imaging strategies and attempts to harness arts and culture, as well as more organically evolved arts activities and spaces, and analyses the relative successes and failures. Offering rich ethnographic detail drawn from extensive fieldwork, the authors challenge city strategies and existing urban theories about cultural and creative clusters and reveal the many complexities in the art of city-making. The talk will draw on select case studies examined in the book. RSVP to: nexus@nus.edu.sg with your full name, title, email address, and affiliation.